Hatteras Landing Marina Has It All! Hatteras Landing Marina is a petite, yet very well appointed marina nestled in the heart of the Hatteras Landing Resort Complex. Featuring expert construction, Hatteras Landing Marina boasts a 9’ deep basin and unparalleled access to navigable waters. Enjoy offshore and inshore fishing with the closest OBX marina to the fertile Gulf Stream; less time traveling means more time fishing! We have slips to accommodate boats large and small and our excellent location, deepwater access, amenities and service make us the perfect choice for transient, seasonal and home port dockage. Luxury Resort Residences overlooking the marina are available for rent with Midgett Realty. Surrounding the marina is a community of fine stores and eateries, The Graveyard of the Atlantic Museum and other historic sites, as well as extensive boardwalks to the ocean and sound. So come visit us and enjoy Hatteras Village, the south end of Hatteras Island. Additionally, we offer a variety of trips including full day, half day and make-up charters (if you have less than the typical 6 person party, are a small group, or are alone, we will put you with other anglers to “make-up” a trip). Awaiting you is some of the world’s best Yellowfin Tuna, Mahi Mahi, Wahoo, Sailfish, King Mackerel, Striper, Red Drum, Cobia, bottom fish, and of course Blue and White Marlin fishing. We fish year round and are considered the premier Bluefin Tuna fishery in the world during the winter months. Be sure to contact our friendly staff at the Hatteras Landing Marina Ship Store for charter availability, and then drop by on the big day to stock up on snacks, drinks and gear for the trip. Planning a fun day out on the open water? Call Hatteras Landing Marina Ship Store to book a fun day on one of our seasoned Charter Boats! 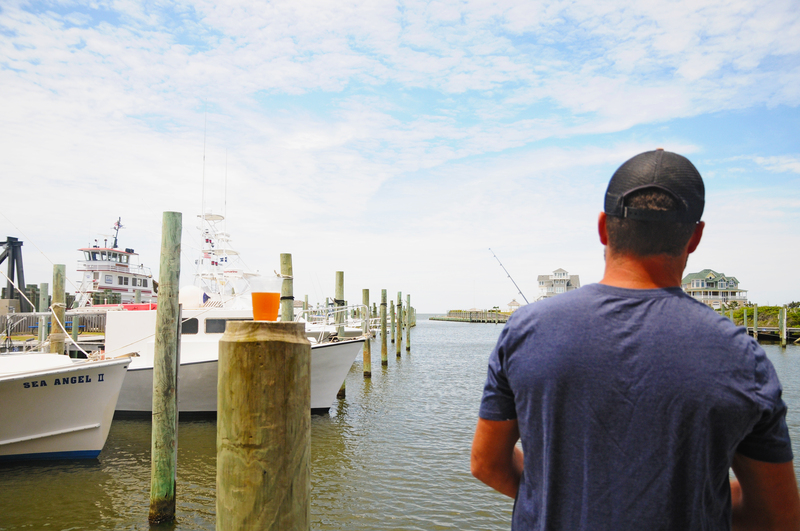 For sport fishing charters, the Hatteras Landing Marina charter fleet is your best choice. Our seasoned captains, experienced crews and state of the art vessels are waiting to take you and your party into the world famous Hatteras Fishery for an exciting day of offshore or inshore fishing. If a lot of big fish are what you are after…we can put you on to them. Call us today to book your spot on the fishing trip of a lifetime!